The advent of the digital camera gave him, in around 2002, the opportunity to photograph casually, lots of people; not obtrusively, but just snapping them, with the idea of making them into images. "In short, I realised I wanted to design my own crowds. 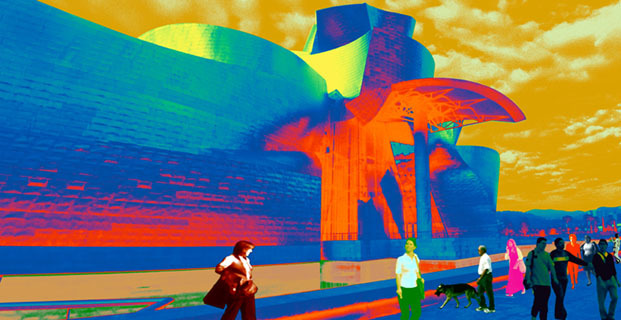 It became important not just to celebrate localities and their landmarks, but the people who inhabited them." Bull’s design career has always been useful when commissions were thin on the ground; being a father of two and husband to one has made a monthly paycheque a necessity rather than a luxury and his deft use of illustration and typography to occupy a space in an exciting way, has, he feels, increased his love of image-making. His great passion is still that of communicating with ideas, where technique will always play second fiddle. 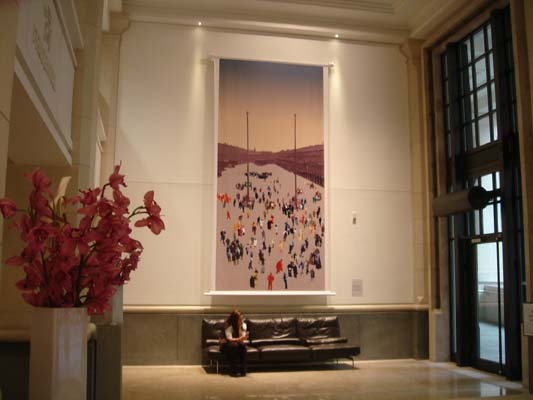 Venice - Large size artist's proof at the Prudential HQ, City of London.